...is the best feeling in the world. I love it. I love everything about being a wife, everything about marriage and most importantly, everything about my husband. Today's post is pretty deep. As much as I would love to be "the perfect wife", I struggle with priorities, especially with my faith and I wanted to open up to you guys. As I've said before, I am not ashamed to claim my faith as a Christian and the same goes for my husband. First and foremost, my heart belongs to Jesus, and then to my husband, which at times, has been a struggle. I am selfish. I want instant gratification. I put myself first. I am human. Stated in the first book of the bible Genesis, our sole purpose on this earth is to reflect the image of God and worship him alone. Somedays I find myself worshiping other things, putting everyday tasks and events before my God. Whether it be my husband, my physical appearance or pouring myself into planning my wedding, there are times where I fail to put Him first. I've copied and pasted an article that I stumbled upon a few weeks ago. This article is amazing. It gives you insight and explanation on the many bible verses about marriage and submission. The article below is medicine for my heart and I hope it can speak to you too whether you are a wife, engaged to be married or hope to be one day. Any woman who has turned to the Bible for an understanding of what it is to be a biblical wife has encountered this verse. Like an old familiar friend, we strive to know its meaning and go about applying modern-day relevance to this command. All too often, we skim over the most important piece. We jump straight to the slightly heavy-feeling task of defining wife, submission, and the subsequent implications for our lives. We do not stop to consider the likewise. Likewise changes everything. It means similarly; in like manner. 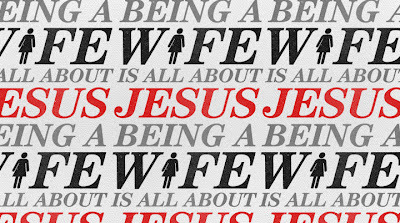 1 Peter 2 discusses Jesus’ mission, life, and death -- so that becoming wife is even possible. Who he is and what he has done paves the way for women to be wives. Often, we look to the Proverbs 31 woman alone for our template of female godliness. We are tempted to think, “She was the wife who did it all. Let’s copy her”. 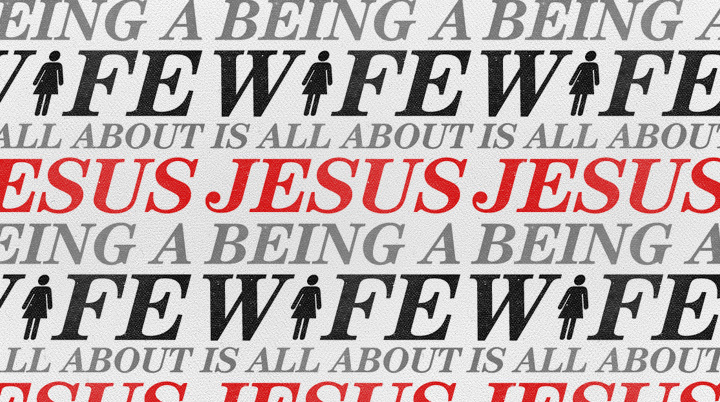 Jesus alone is our means, our model, and our motivation for biblical wife. And yes, I do realize he wasn’t a woman. Peter is telling us ladies that as Jesus subjected himself to obedience and suffering, we must likewise place our hope and purpose into the hands of the Father to be wives at all. He exchanged our sin for his righteousness so we could offer something of his love and selflessness in our marriages. We belong to Jesus. God calls us to be his daughters as the core identity of our womanhood. For some, he will call to become wife in addition, but never in competition, to that identity. Being a godly wife flows from being a committed daughter. Genesis 1:27 tells us we are, male and female, created in the image of God. Our sole reason for living is to reflect the image of our Father in worship of Him alone. John 4:23 lays out the call, “But the hour is coming, and is now here, when the true worshipers will worship the Father in spirit and truth, for the Father is seeking such people to worship him.” As women and as wives, we are to pour out our lives in worship to the King. The role woman was given by God in Genesis 2:18 is helper. It is the Hebrew word ezer which God also uses for himself in Psalms, John, and Hebrews. Helper is not a second-class position. It is a high calling accepted with humility and confidence. We are not vying with our men to “arrive” someday as something other than what we were called to be -- a support, advisor, comfort, and friend to our husbands. Submission is the heart response of a godly woman who has put herself under Christ and her husband. It is an act of the will carried out joyfully and willingly because she recognizes the gift of grace she has received. Submission is the single-most precious place of safety and freedom that a woman could ever know. Deep belief and complete trust in Jesus to sustain a wife makes submission to even the most difficult man possible. Ephesians 5:33 urges wives to see to it that we respect our husbands. It is a command and not a suggestion. It is our responsibility to communicate respect in our words, tone of voice, attitudes, and actions. True respect for our husbands will spring out of a hear that rejoices in the grace we as wives have received and the grace that we know our husbands need. They desire your respect; they need Jesus. The most respectful posture you can take as a wife is one of grace -- the same grace offered to you in your time of need. We try to muster up submission, respect, and help for our men without humbly recognizing this thing called wife is made possible by Jesus alone. A marriage license and a sparkling ring do not automatically transform a woman into a wife who honors God. The grace offered and the righteousness bestowed at the cross is what makes you a godly wife who willingly subjects herself to her husband. Dying to yourself because the Savior died for you is the call for the biblical wife. Your marriage will thrive because of life found in Christ; recognizing your daily need for a Savior and dependent upon his righteousness alone. I just read this beginning to end (twice actually)! Thanks for posting this! It makes 100 % perfect sense, yet practicing it is an entirely different thing...isn't it? It has sort of cleared my eyes to a few things so thank you! Great post and great reminders. I really enjoyed reading this. Awesome blog! Love this post.